We all hanker for a simpler life with less of the headaches that 1st world problems pose. Tech issues, coffee conundrums etc., but achieving it is hard. We want to do more together with our tribe and connect over meaningful activities without the constant distractions of screens and noise and create some magical moments. So here at Up Sticks we’ve put together some fun, entertaining and cheap ways to enjoy nature and the great outdoors even in the rain! Sun, fresh air, getting outdoors and closer to nature offers us the opportunity to switch all the distractions off. Part of the draw of glamping is the prospect of a unique space in a special location. And this freedom of space and privacy offers kids as well as grown-ups the chance to indulge in going feral. 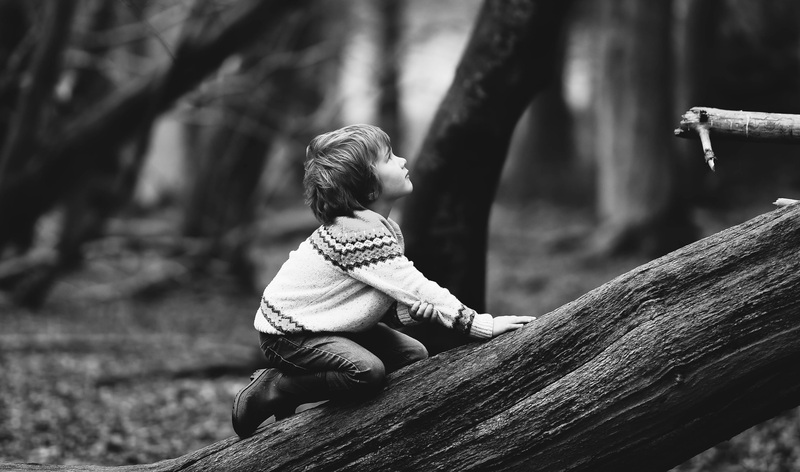 Building a den to hide away, climbing trees for a better view, chopping wood fo the fire, reading a map and navigating to treasure or even simply playing hide and seek. Send the kids off to collect wood, not from the woodpile, but the stuff lying around on the ground. They explore, work together so dragging back logs suddenly becomes a great game. Get them involved in lighting a fire and they quickly learn that the small twigs are as important as the big finds for getting a fire crackling! Fires are a terrific way to get kids involved in cooking too. Getting them to think about what will cook on fire, and how best to cook it. Why not hang a joint of meat or spit roast instead of the usual burgers and sausages! Wrap the potatoes in foil and leave them for a while. Make veg skewers, or hang a bowl over the fire pit and cook up a curry or a tagine. Get the kids to make a marinade with spices and herbs (available from the veg plot) encourage them to get their hands dirty and experiment with flavours. With a few bits of kit, you can do live experiments in the country. Test the PH of water or soil, become detective and see how many different varieties of grasses, flowers and insects you can find in a square of meadow. Get close to bugs with a magnifying glass, or get your binoculars out to spot birds species, nests and what birds collect to make them and how often they fly in and out. With a net the pond offers endless fun. See what floats and what doesn’t create a little floating boat and think about how to get it home once launched. Many glamping sites have animals which your children can learn to care for, pet, fed, clean out or just watch. It’s a wonderful way to learn something new and be entertained at the same time. At Up Sticks we can give guests their own chicken coop of bantams to care for. Kids are welcome to feed the pygmy goats or even try their hand at trimming their feet and getting an insight into the ups and downs of animal care. Sometimes hols are great for trying something new, sow a seed and watch it grow. Many of us pick strawberries, or water the plants. So maybe trying something a little more challenging, try unlikely herbs, flavours and combinations, get your hands dirty with planting. Glamping puts you in nature, so it’s not parkland and manicured, there are nettles and thistles and dock leaves, sticky weed and buttercups; so discover the plants to avoid and those we can use by foraging from hedgerows. The possibilities are endless, leaf collages, flower garlands, create a sun catcher with whatever you can find. Bark rubbing, twig weaving or make a percussion instrument for the fireside singalongs later. I’m no expert, and certainly not claiming any originality here, but with a few bits and bobs, which we’ve put together in our nature packs, there is fun to be had in a field, and even in the rain, it just takes a little imagination.